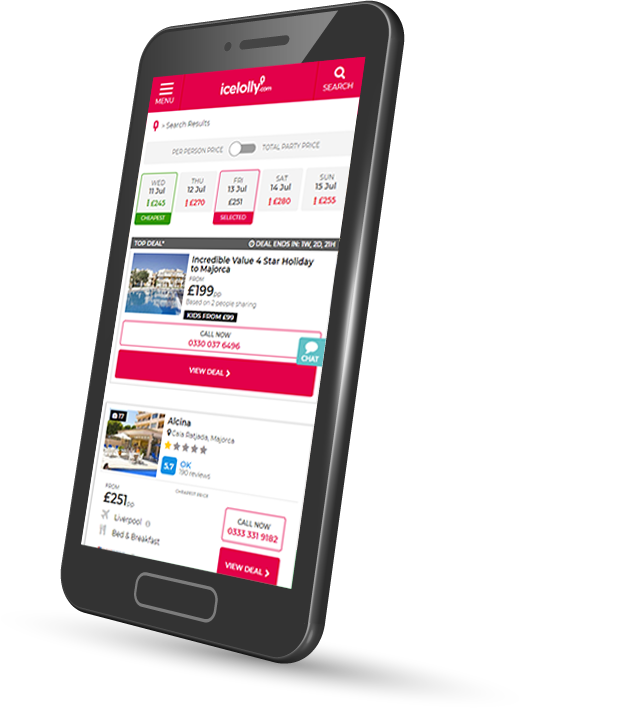 Find your ideal holiday with icelolly’s updated Holiday Finder app! Introducing our new and improved app – helping you compare cheap holidays from some of the best travel providers in the market! Our Holiday Finder is the easiest and fastest way to browse incredible offers, so simply download for free now and start searching today. 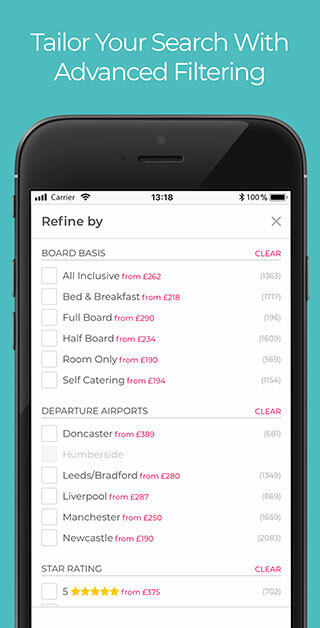 There are more companies than ever available to book your next break with, which you can do by using our freshly implemented click-to-book function as well as the usual call option should you wish to speak all the details of your break through with an operator. Our Top Deals* offerings are each handpicked by icelolly.com’s travel experts and come with an amazing discount or added extra, so whether you’re after cut-price all inclusive holidays, something a little special or simply that bit of inspiration, we’ve got you covered! You’ll be spoilt for choice with the wide variety of holiday types available including sun, city, ski as well as cruise trips for the first time ever on our app. Book your next adventure now, safe in the knowledge that all deals are ATOL protected, and join thousands of others who have booked through our comparison service and rate us four out of five on review site TrustPilot. 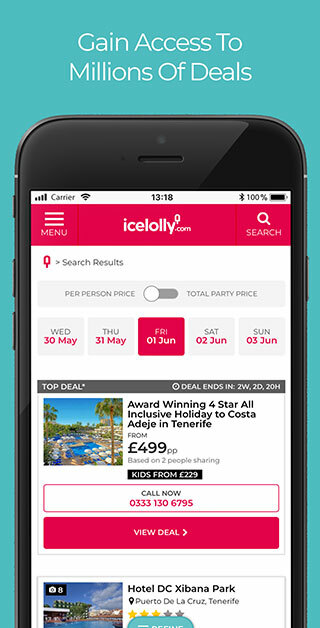 With icelolly.com’s Holiday Finder app, you can compare thousands of deals from a number of leading travel providers, share ideas with friends and click or call to book your trip, all from your smartphone. Download today and discover the new, stress-free way to book your holiday!